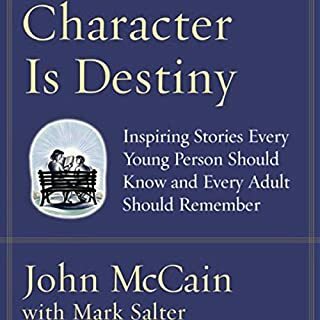 John McCain and Mark Salter have written three acclaimed best sellers, but Character Is Destiny may be their most influential and enduring book yet, a work for parents to share with their children and for Americans of all ages to read for inspiration and guidance. After five and a half years as a prisoner of war in Vietnam, naval aviator John McCain returned home a changed man. Regaining his health and flight-eligibility status, he resumed his military career, commanding carrier pilots and serving as the navy’s liaison to what is sometimes ironically called the world’s most exclusive club, the United States Senate. 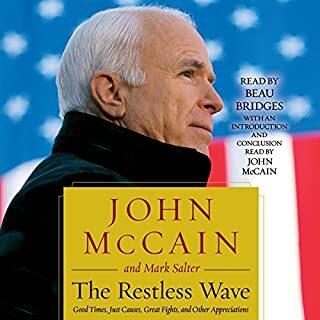 Accompanying Senators John Tower and Henry “Scoop” Jackson on international trips, McCain began his political education in the company of two masters, leaders whose standards he would strive to maintain upon his election to the U.S. Congress. There is a point in everybody's life at which a tough decision will have to be made - a hard call. 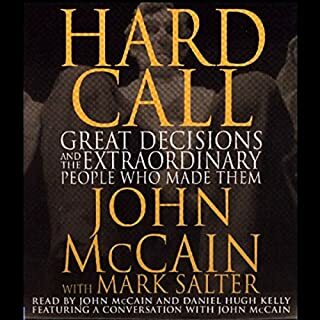 For inspiration and direction, we can look to the remarkable individuals in John McCain and Mark Salter's book, which dramatically describes the anatomy of a great decision. 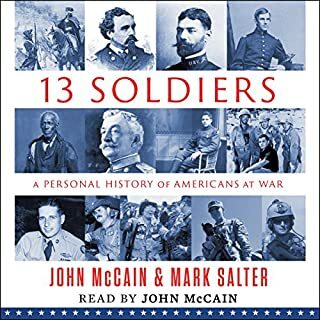 John McCain’s evocative history of Americans at war, told through the personal accounts of 13 remarkable soldiers who fought in major military conflicts, from the Revolutionary War of 1776 to the wars in Iraq and Afghanistan. A New York Times best seller. 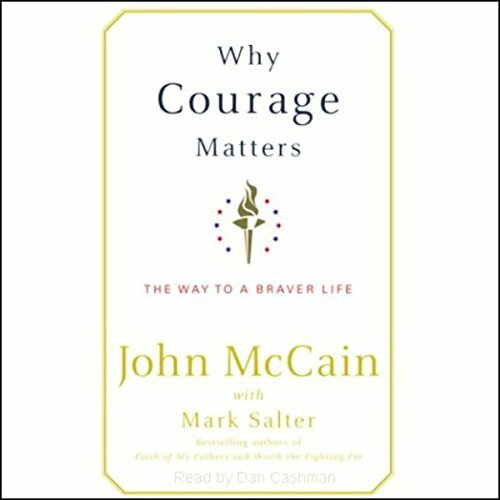 In this inspiring meditation on courage, Senator John McCain shares his most cherished stories of ordinary individuals who have risked everything to defend the people and principles they hold most dear. 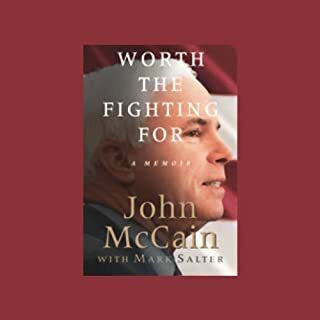 "We are taught to understand, correctly, that courage is not the absence of fear but the capacity for action despite our fears," McCain reminds us, as a way of introducing the stories of ﬁgures both famous and obscure that he ﬁnds most compelling - from the Nobel Peace Prize laureate Aung San Suu Kyi to Sgt. Roy Benavidez, who ignored his own well-being to rescue eight of his men from an ambush in the Vietnam jungle; from 1960s civil rights leader John Lewis, who wrote, "When I care about something, I'm prepared to take the long, hard road," to Hannah Senesh, who, in protecting her comrades in the Hungarian resistance against Hitler's SS, chose a martyr's death over a despot's mercy. These are some of the examples McCain turns to for inspiration and offers to others to help them summon the resolve to be both good and great. He explains the value of courage in both everyday actions and extraordinary feats. We learn why moral principles and physical courage are often not distinct quantities but two sides of the same coin. Most of all, listeners discover how sometimes simply setting the right example can be the ultimate act of courage. If you are worried that this selection is going to generate into some sort of political diatribe or some thinly disguised effort by McCain to take on the mantle of a courageous person, you can rest easy. McCain attacks the subject matter in a straightforward manner in a way that makes you believe that he, himself, has asked the very same questions about courage and has searched often and deep for the answers. The real stories regarding heroic and courageous performance by others are gripping and were easily the highlight of the book for me. This is a great book if you are a man who loves war and thinks that courage is only about acts of war. Courage is not only a ?man? thing and it is not only an ?American? thing. The title should read ?Why War Matters?.